Terrorism, politics and betrayals collide in this fast-paced thriller. He was the only one left alive; now it was his turn to die. In September 1972, journalist Anna Rosen takes an early morning phone call from her boss at the ABC, telling her about two bombings in Sydney's busy CBD. It's the worst terrorist attack in the country's history, and Anna has no doubt which group is responsible for the carnage. 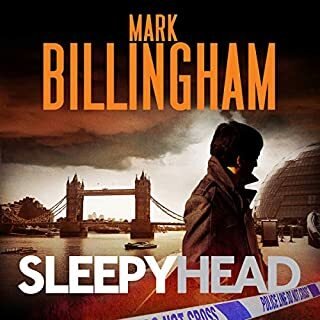 Slough House is Jackson Lamb’s kingdom; a dumping ground for members of the intelligence service who’ve screwed up: left a secret file on a train, blown surveillance, or become drunkenly unreliable. They’re the service’s poor relations – the slow horses – and bitterest among them is River Cartwright, whose days are spent transcribing mobile phone conversations. But when a young man is abducted, and it’s threatened that he’ll be beheaded live on the Internet, River sees an opportunity to redeem him. Is the victim who he first appears to be? And what’s the kidnappers’ connection with a disgraced journalist? As the clock ticks on the execution, River finds that everyone involved has their own agenda…. 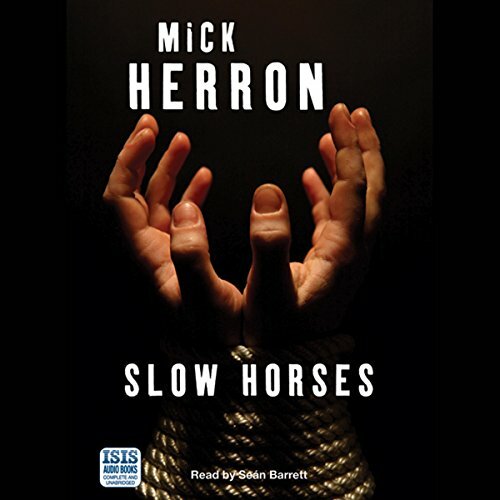 Where does Slow Horses rank among all the audiobooks you’ve listened to so far? This is one of the best crime novels I've read. Followed up by "Dead Lions", it was an absolute treat! Extremely clever, credible plot and really unique characters. No, way too long and complex - but you also like to digest the story. If in doubt, don't hesitate! is anything but slow. This story hits the road running and keeps the pace up right until the tantalising end. There isn't a single tedious moment, with action, intrigue and cool wit all keeping you utterly entertained every second. Sean Barrett, of course, is as brilliant as ever and still my favourite narrator. I can't wait to get onto the next in this series and any others written by this obviously talented author. Lead character Jackson Lamb is a completely vile potential goodie , scratching his underarms and sniffing his fingers in front of slick M15 female 'superior'. But there never are clean cut goodies and baddies in the spy world are there? Just people who hope that there might be a happy ending no matter what stuff ups happen along the way. A good read. awesome series. fave audio books of all time. brilliant narration. jackson lamb is a fab creation. highly recommend to literary creatures who like a witty edge. Spy thriller of the Year!! This terrific novel is fast-paced, clever, complex and absolutely riveting. 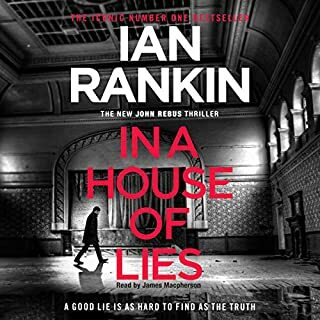 Sean Barrett’s performance is perfect-it’s as though you’re wrapped in a comfortable and expensive leather chair, drinking top shelf brandy and getting your head into a book that will have you saying “no no no” as the characters fight the clock and each other. An taught beauty of a spy thriller!!!! Dry, with at times a caustic & witty dialogue, this pacey and highly entertaining plot amused and held me from the start. 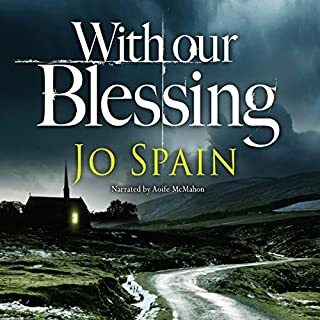 I loved this book and am delighted to see it is the first in a series ( 2nd novel already downloaded and waiting ). 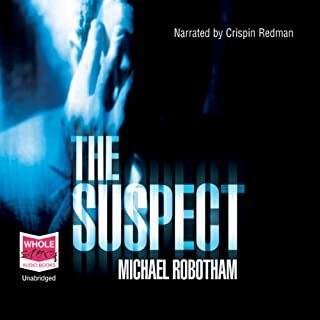 I stumbled across this series due to the narration by Sean Barrett . I am quite happy I did, it is a excellent book well written and good to see some under dogs get a win. I will listen to the next one now. Very well written and great narration as always. This novel keeps the listener on their toes if they wish to follow the storyline. It can change so quickly. Interesting concept too. Left and right political agendas and corruption within everyone’s grasp. 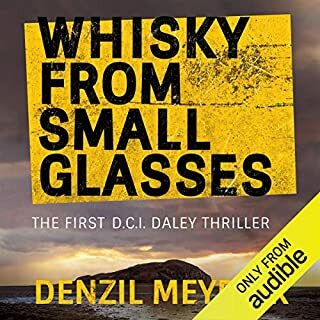 it is not a bad book but it jumps around as the storylines progress you find it hard to follow the characters around till near the end don,t know if i can handle a second book like this. Gripping, edge of seat, read. My new favourite author. Another cracking performance by Sean Barrett too. You know those books where immediately after you finish it, you think, "I hope this is the beginning of a series!" Yeah, me neither. Except I felt that way about "Slow Horses." Dismissing it for months because of the title (horses = wild west = yawn) After a spate of unwise, underwhelming book choices, I finally read this novel's description and gave it a try. Well, as they say, 'even a blind pig finds a truffle every once in awhile,' and I found a treasure in "Slow Horses." 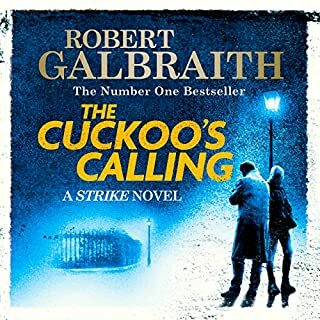 The title is a wordplay and the pejorative term used to describe those British intelligence officers who have somehow messed up just enough to take themselves off the MI5 fast track but not quite enough to get fired. 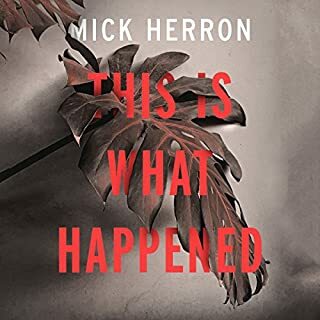 In author Mick Herron's words, (Slough House) "serves as an administrative oubliette where alongside a pre-digital overflow of paperwork, a post-useful crew of misfits may be stored and left to gather dust." You can see the vein of gold waiting to be mined right there: the back story of each disgraced officer, what they reveal to each other, how they accept their lot, the painful interactions with MI5 high flyers when their duties involve an errand to Regent's Park. Add to that the kidnapping of a British national with foreign roots and we're off and running for an enthralling ride of intrigue. It is tempting to agree with the other excellent reviews describing this book as full of 'twists and turns.' But in an effort to say something new, I'll describe it as a book with ongoing revelations that cause the reader to think, "Oh, so that means...." As the story progresses, details about each character emerge and they are always smart and they always make sense. The head of Slough House, Jackson Lamb, is an acerbic, vulgar "anti-Smiley" who lives less in his head than George Smiley does, but is just as old school in his fierce loyalty to those agents entrusted to him. 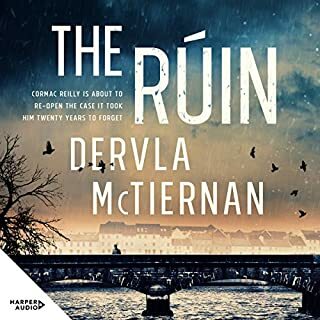 Narrator Sean Barrett delivers the story well and without distraction. "Slow Horses" contains portions of intense dialog so being able to differentiate the speakers is crucial and Barrett does this well. Back to the series idea. I'm picky and have probably shot myself in the foot by avoiding some great reads just because I've seen them in airport bookstores. I'm not proud of my literary pretensions, but I believe they have protected me from excessive eye rolling and exasperation over the years. I'll immediately pounce on a Dalgliesh mystery from P.D. James, a Wexford novel from Rendell, and an Inspector Gamache from Penny. Other series? Wary as a cat. However, a book like "Slow Horses" leaves me hungry to read more novels involving this great cast of characters. So, Mr. Herron, it's been decided: a series it shall be. Write on. Starts off slow and depressingly dark, but stick with it -- the characters and plot develop in all sorts of unexpected ways. 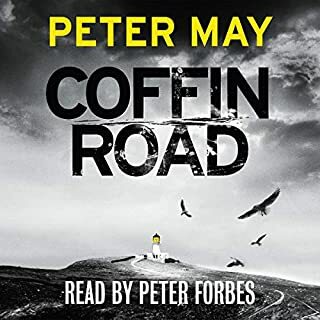 I really enjoyed this one, and the narrator was perfect for the material. 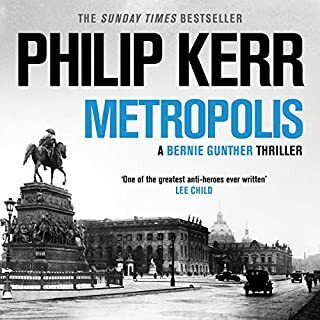 We can all identify with the "slow horses" of the title---the losers, the has-beens or never-weres of the British spy service--the people who had a stroke of bad luck, or who didn't catch on to how to be a conformist, or who were just plain screwed over by someone else. In this fast moving, suspenseful story, the slow horses get a chance to save the day and to show up the high flyers and slicksters in the rest of the spy service. 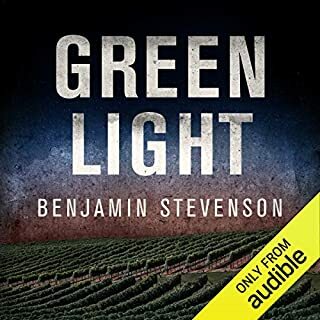 Smart writing, smart plotting, great narration. When I had listened to about a third of this book, I wondered why other reviewers had rated it so highly. Thankfully, I took a reviewer's note to heart, continuing to listen until I couldn't put it down. 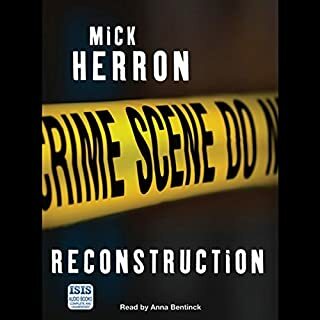 When I finished reading, I realized what a gem this audiobook is: Mick Herron treats the reader like an adult, allowing the plot and characters to mature to a very satisfying conclusion. Highly recommended. We're all a bit slow, aren't we? I envisioned a marvelous flowerbed, right in that weedy corner of the yard. I wanted it, but was dreading the prospect of digging up the ground. Turning the soil, digging out the weeds and grass, adding compost and mulch, prepping the soil. My least favorite part. So this book was chosen to keep me company. Something entertaining and light. The story started out slow. Frankly, if I hadn't been stuck in the yard anyway, I might have stopped listening. Then about an hour in, I found myself laughing.But in that not quite funny but sort of wincing way--when the joke is on you and it's a bit painful. And I stopped playing in the dirt. Rewound. And listened again. That was my introduction to Slough House and Mick Herron. Underrated. Under the radar. Magnificently, awesomely human. These are the stories of heroes who have dared greatly and failed spectacularly. And survived. Banned to a boring, mundane, useless existence. Except once or twice, they get to secretly save the world. I agree with the other reviewers that after the "slough" start, the book pays off with absorbing action and characters. It's a thriller that avoids the shallow, formulaic hero and spunky/beautiful, etc. heroine. The characters themselves take as many unexpected but well grounded turns as the plot and one of the most repellent characters becomes the most admired. (He also has the best lines, making this book a good listen for the humor alone.) Even the parts that I didn't find believable did not detract from my enjoyment of the book as it progressed. The narrator can make or break a book and Barrett's edgy reading was perfect. This is one of my favorite downloads ever (frequent listener, mostly crime fiction, for about 6 years). I didn't find the set-up to be slow... The author dove-tailed the description of a band of quirky characters with the set-up to the main storyline and when the main action gets going, you're fully engrossed. There was humor, suspense, great characters... all well-done. I also liked how the story wasn't about another spy trying to save the world.. the crime in question stays "small", with bigger ramifications, but still within reasonable bounds. Really, I wished it had been longer. (or that there might be some sequels?) Finally, narration seemed right-on to me, but I'm not British, so can be fooled in that regard. Highly recommended. Wonderful writing, vivid characters, arresting descriptions! And the PLOT!!! I've listen to a lot of books, but this plot was new to me and I loved it. It took me a while to get into this book and was confused by who was who for a while - probably my lack of concentration. Also I had to concerntrate for swaps in storyline in the middle of chapters but all that said by the end I was totally hooked. It was good to see a different take on the usual spy plot. Well read by Sean Barrett. Will definitely read this book again. Slow Horses is an interesting new take on the Spy Game genre. Instead of the best of the best in modern spy craft, we are introduced to the cast-off's of an offbeat MI-5 division. "Mission Unattainable". Because they are screw-ups, they have been relegated to a backwater department that monitors emails for suspicious activity (at current they have checked 80,000 emails and have found no imminent threats). I enjoyed the writing style, which was descriptive, but not bogged-down in details. And enjoyed the characters immensely, especially the corpulent and flatulent director of the Slough House Division. However, one criticism I feel inclined to make is: halfway through the book several peripheral characters became main characters; It became very confusing for me personally to know what just happened. It took a re-listen to those parts before I could make sense of who was who and when, and where, and why... The story steadied itself before a satisfactory ending. I definitely recommend to fans of the genre. 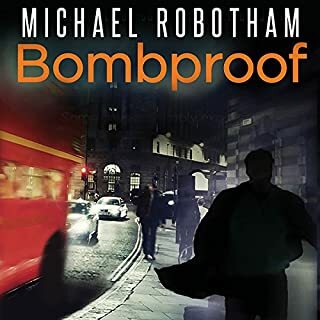 The idea of intelligence services maintaining influence and their budgets by encouraging a satisfactory threat level is not totally new, but when linked in with the notion of a home for reject, dissolute spies, you have the springboard for a very entertaining novel. With old, forgotten skills kicking in, in a manner vaguely reminiscent of 'Six Days of the Condor';, the hacks take on the best. Not wanting to spoil the plot I will leave it there. 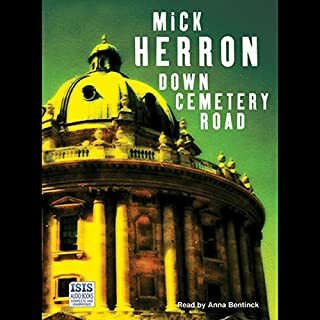 I have however, seen general criticism of Mick Herron's novels on other sites as 'overwritten'; and 'leaving too much unexplained'. 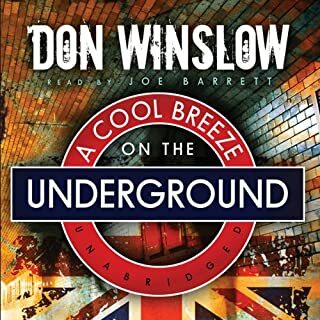 Some books are so adrenaline driven that it is possible to ignore poor writing, lack of wit, or depth of character, although I do not forgive some of Dan Brown's unfortunately deathless prose. 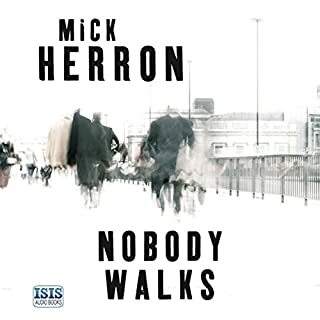 It is true, you will notice Herron's writing style, it stands out because it is a stand out. To have intelligence and wit along with a great plot is rare indeed. Also, if something is left slightly open at the end of a novel, do what the author does and make it up yourself. Enjoyed this immensely. Would you listen to Slow Horses again? Why? If only to hear Sean Barrett's great performance. What was one of the most memorable moments of Slow Horses? The many pot-twists - too many to mention. A witty, dry, funny thriller read by Sean Barrett. Can I buy some more, please? I can't mention it without committing a major spoil crime. 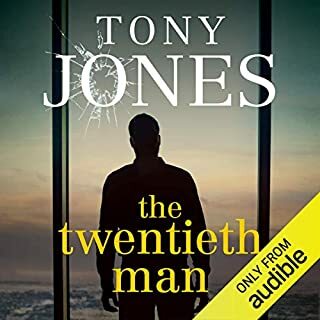 Spies who have been put out to pasture for various sins, a kidnapping leading to a race against time, and plenty of twists and turns make for a very well realised, downbeat, tale of domestic espionage. What made the experience of listening to Slow Horses the most enjoyable? Sean Barrett brings the characters to life. Great narrator. Great turn of phrase by the author. 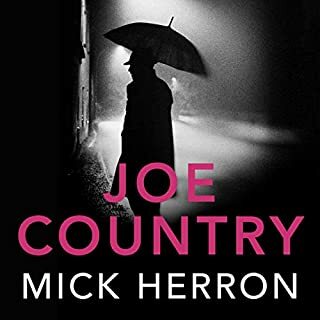 Not as densely plotted as le carre,and will certainly be reading more from this author. The first three quarters of this boook was a litttle tedious at times. the narrator was, as usual, good but could not make the boook memorable. The last few chapters were better. However I won't be listening to books by this author again. I nearly gave up due to the very slow exposition after the initial opening. The repetitive style of the writing is irritating but this is worth staying with; a good listen and well performed. I nearly gave up on this multiple times and although in the end it's a good story, I'm just not sure it's worth the effort. I seem to be in the minority in not being a big fan of the narrator. It may have been much more engaging with a different voice. i did struggle with the constantly fliting from one part of the story to another.